My setup been running without any problem, as such it nothing new to write. Caring of fish and plants are routine. Good part of backyard Aquaponics is that I can do it at any time of the day. Rainy season has pass now the heat is coming back. Evaporation water loss is noticeable, I need to check weekly and normally when water level reaches the pump body I will top up. 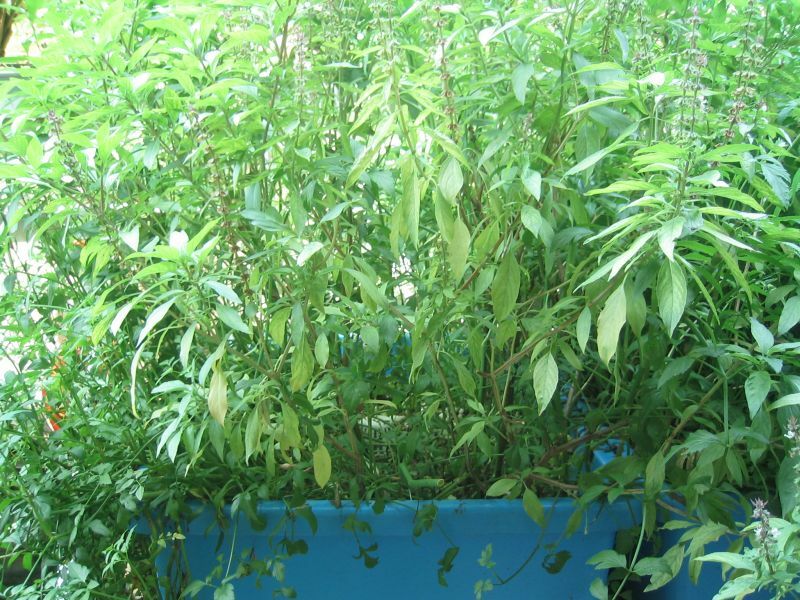 Above is the "Sambung Nyawa" plant in English its mean Sambung = Continuity/Joint and Nyawa = Life. You by now should have guess what's it for. 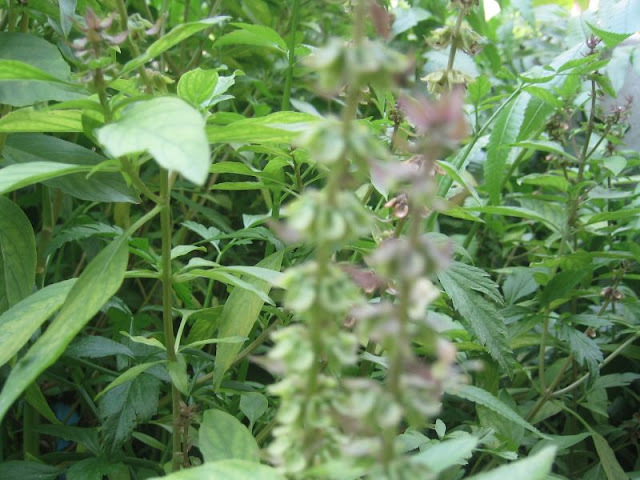 This plant is traditionally use to reduce high blood pressure. Its not bitter but just tasteless, I take it raw recommended I leave per day. Basil I let it grow wild, and let it be. Seeds from it drops everywhere and basil seedlings appear like weeds. Those Basil have outgrow the Vietnamese Coriender or the Water Celery. 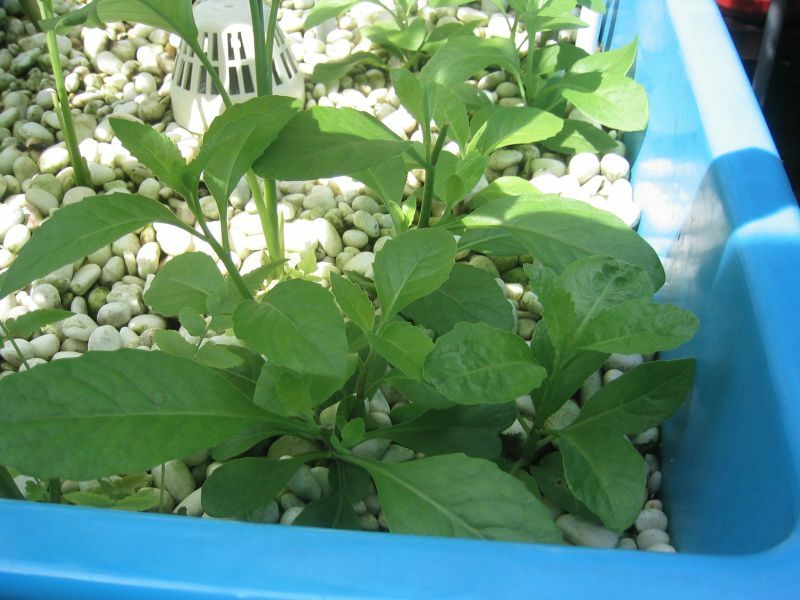 I am thinking of making a smaller setup for schools and anyone that intrested with Aquaponics as an initial kit. So far time constrain due to my office workload prevent this from happening. My neighbour at the rear is renovating their house that will take all of the backyard, this may leads to reduce sunshine for my Aquaponics. With this effect I may need to change the plants grown and have another set in front of my house to have full sunshine setup.